Asante Kotoko management and Primeval Media Consult are on the verge of bringing back their evergreen Kotoko Express newspaper in a move to bring the fans closer to the club, PrimeNewsGhana can exclusively reveal. Arrangements between the Porcupine Warriors Management and Primeval Media Consult to get the newspaper back on the news-stand have been firmed up. Late last year, Primeval, the new managers of the paper contacted the former editor of the Newspaper Jerome Otchere and tasked him to set-up a six-member editorial team to begin operations, a source close to Primeval disclosed to PrimeNewsGhana. A meeting between the editorial team led by former Dreams FC communication team member Jerome Otchere and Primeval is scheduled for Accra early next week. 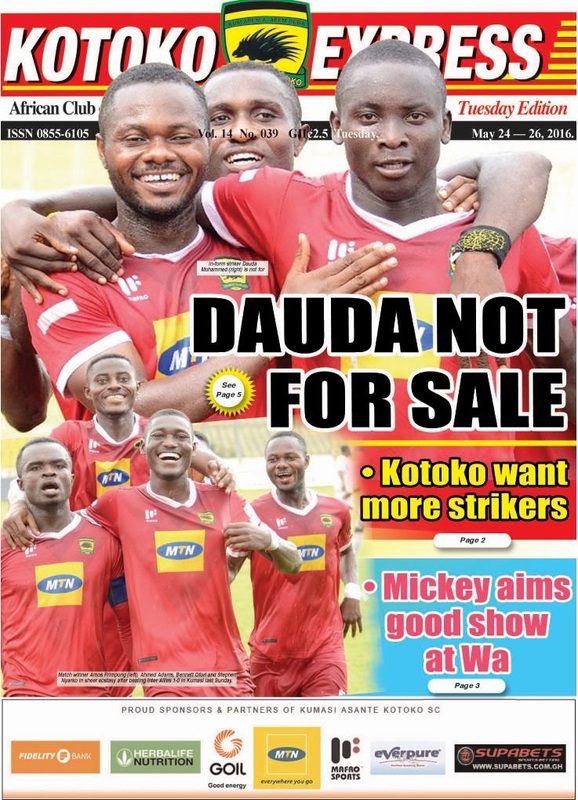 First publication of the newspaper is expected to be out in the second week of February, that's before Asante Kotoko's first home game in the Confederation Cup group stage against Zambian outfit Zesco United. The club is undergoing huge transformation under the new administration led by Dr Kwame Kyei and one of the things that the management is looking at is bringing back their famed Kotoko express. It would be recalled that in June 2016, the mouthpiece suspended its operations due to an amount they owed G-PAK, a subsidiary of Graphic Communications Group Limited. Reports say they owed them about 168,000 Ghana cedis and since then they have not been able to produce the papers again. Asante Kotoko arrived in Sudan today, Friday, January 1, 2019, to begin their CAF Confederation Cup Group C campaign against Al Hilal Omdurman on Sunday at the Al Hilal Stadium at 6:00 PM local time.